While our last message concluded with the hope that broad-based dialogue would move the situation in Nicaragua toward conflict resolution, the violence has since escalated in some areas, and peaceful protests and student demonstrations continue to be violently oppressed by the police and pro-government forces. While protesters are calling for early elections, President Daniel Ortega maintains that he will remain in power until scheduled elections are held in November of 2020. Nicaragua’s economy has been heavily impacted by the current situation, and the longer the conflict persists, the more damage that will be done. Road blocks and barricades throughout the country, designed to punish the government by grinding the economy to a halt, are also impeding the movement of food and goods that serve the Nicaraguan people. Tourism is at next to zero as a result of the insecurity, with some airlines having also reduced their flight schedules. Travel insecurity affects not only short term travel and tourism, but also longer term planning with respect to humanitarian brigades that Nicaragua’s economy depends on. A number of embassies have evacuated their staff and accompanying families and bi-lateral aid projects have been stalled for security reasons. While we were hopeful that a decision could have been made at the recent assembly of the Organization of American States (OAS) to deal with the situation swiftly and take a regional approach, this has not been the case. The OAS has put forth a resolution condemning the violence, calling for an immediate end to threats against the public, and appealing for all sides to engage in peaceful negotiation; however, the pressing issue of ‘how’ to urge a move forward from the current state of unrest and conflict remains unaddressed. The activities of Change for Children are primarily located in the northwest of the country where we continue to work at the local level with water committees and local officials, and in BOSAWAS where we continue to work with the local indigenous government. While our work continues, it is to some extent disrupted by road blocks and difficulties obtaining supplies for water well drilling and pending construction projects. Local people in the remote regions where we work have expressed additional concern due to the difficulty to reach markets and the shortage of goods, which is highly impactful on the spring planting season that should otherwise be underway. Following traditional planting cycles is critical to ensure food supplies, without which a humanitarian crisis and a dependence on food aid in the next months is likely. 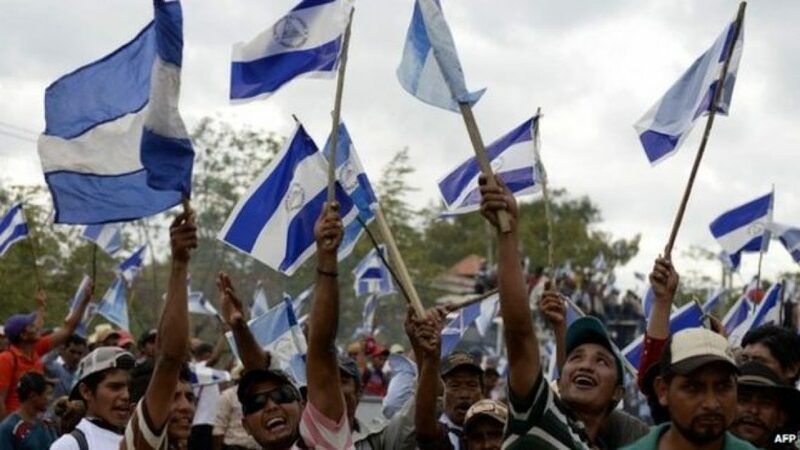 While there are a lot of reasons why we are concerned for the population of Nicaragua in terms of threats to their security, violence against peaceful protest, and restricted movement of people and goods, it is also inspiring to see Nicaraguans play a protagonist role in reshaping their society, rejecting corruption, and holding their governments accountable for the provision of public services. Our water project is focused on empowering communities with the tools necessary to hold governments accountable. It is exactly this kind of project that Nicaragua needs today and in the future on the road to economic recovery. As a Civil Society Organization that played a large role supporting the Nicaraguan people in their struggle for a just government in the 80’s, we continue to support justice, peace, democracy, and good governance today. We appreciate the support we have received from all of you and that you have continued to keep Change for Children and our partners in your thoughts during this crisis. The long term effects of civil unrest can create divisions within communities and families. Your continued support of projects like ours which work directly with community organizations and structures, plays a critical role in healing/repairing these divisions and encouraging collective action for positive change.